The RehaBed is the perfect solution for the prevention, treatment and rehabilitation of back problems. Price excluding VAT.(Incl. VAT £3,300) *VAT Relief available on this product. The RehaBed is the perfect solution for the prevention, treatment and rehabilitation of back problems. The multi-directional, independently moving slat base under the mattress adjusts ergonomically to the contour of the body at any position. As the flexible slat base adapts perfectly to the shape of the body it gives perfect, equal support to the spine along its full length and exceptional lower back support. 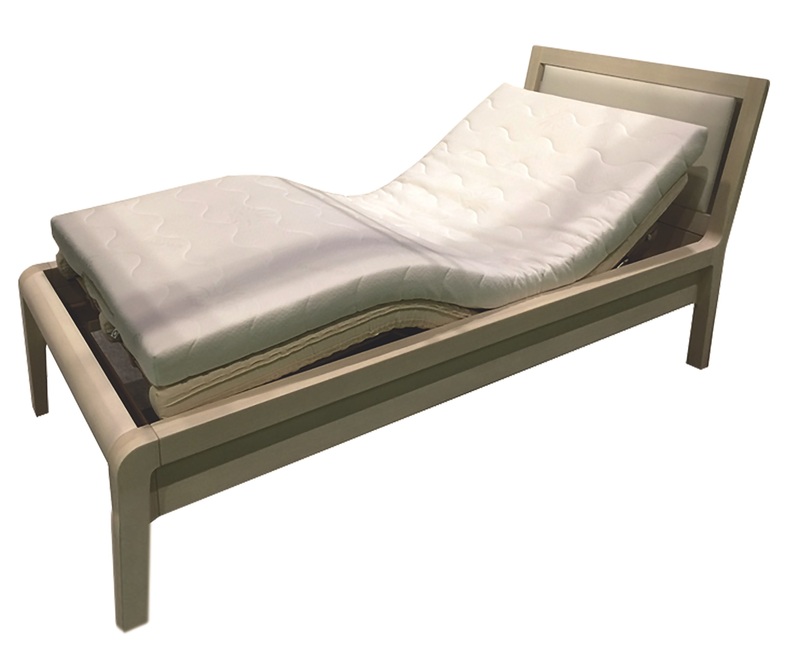 Regardless weight, shape or position on the bed, it always keeps the spine in its ideal position. Your body – and particularly your spine – is highly flexible and therefore it needs flexible support. 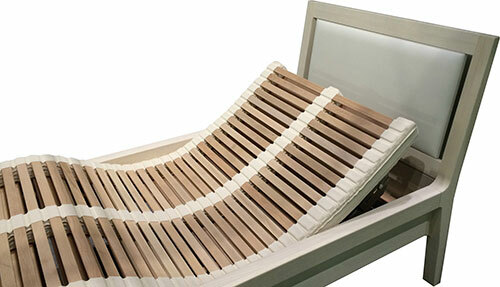 The RehaBed has a multi-directional, independently moving double row slat base. This slatted base adapts perfectly to the user’s body shape which gives full support along the spine and lower back. RehaBed comes with our specially developed 100% organic mattresses which are designed to take advantage of the orthopaedic benefits of the slat base and to give you the ultimate comfort.